We would like to thank all delegates who have attended CIEX Europe 2016 in Frankfurt. We hope you had a productive time at our event and went away with new ideas, insights and contacts that will help you stay ahead in this rapidly changing world of chemical innovation. 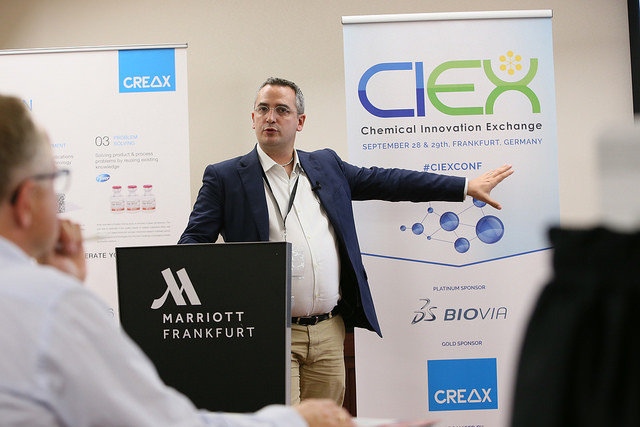 Special thanks go out to our speakers, attendees, sponsors, namely Dassault Systemes BIOVIA, Creax, our official chemical trading platform, Spot Chemi and media partner, Chemistry Today. Without your contribution and support, CIEX would not be possible. Mark your calendar for CIEX 2017 taking place on 20-21 September! Let’s continue our discussions online on our CIEX Linkedin Group. We look forward to meeting you again next year!